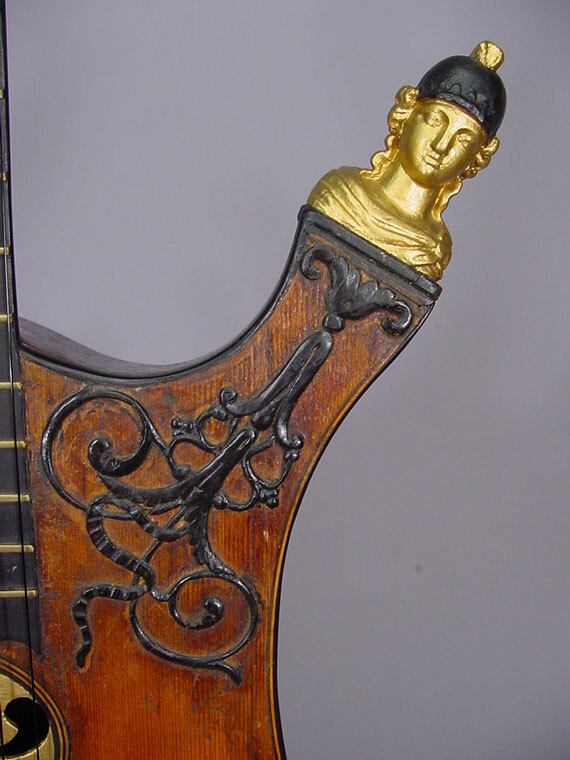 Nearly 200 years ago, this guitar was a "vintage reissue." 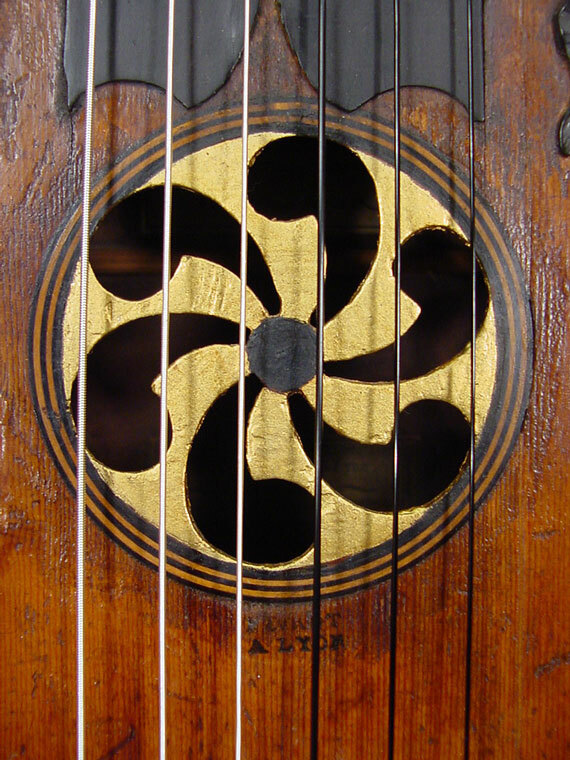 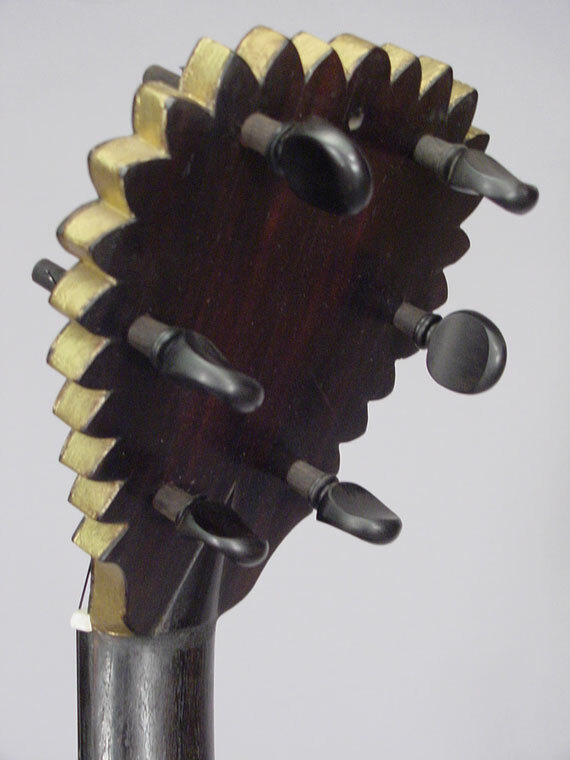 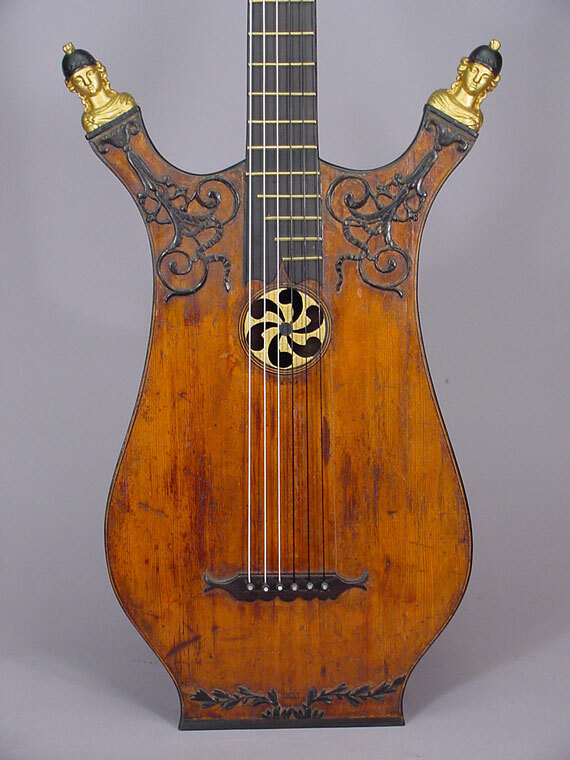 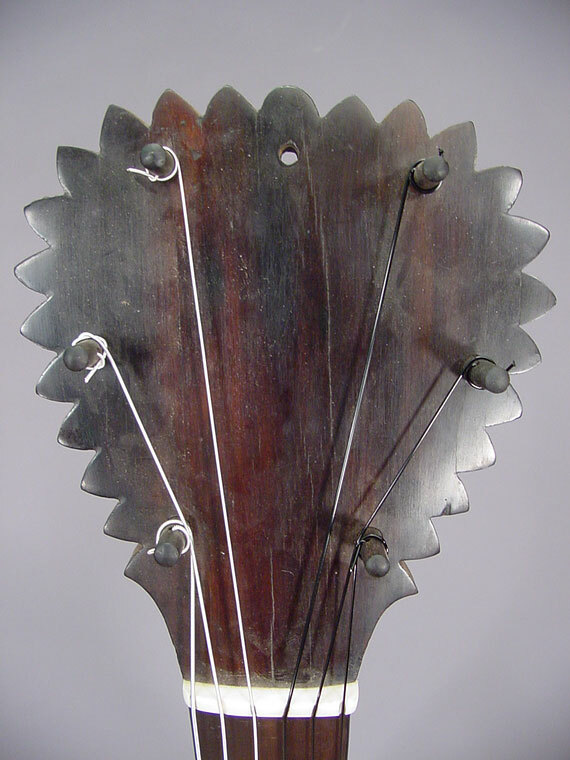 I guess it's a sort of modified "lyre guitar" reminiscent of centuries earlier. 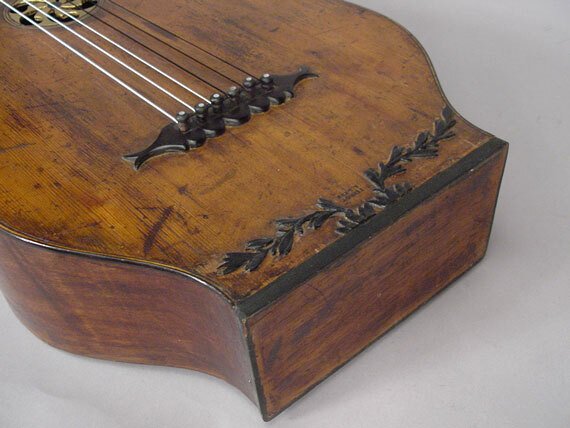 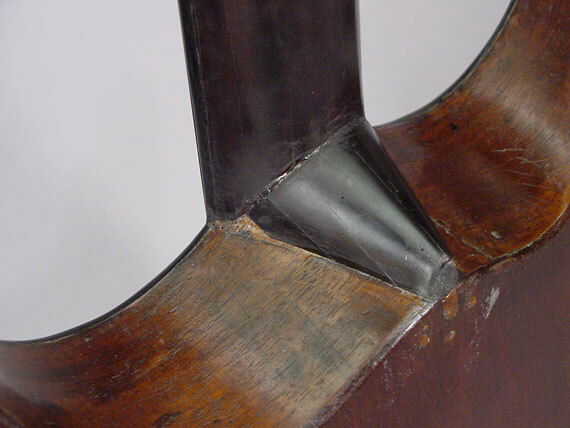 Fevrot was a violin maker, active between 1777 and 1813. 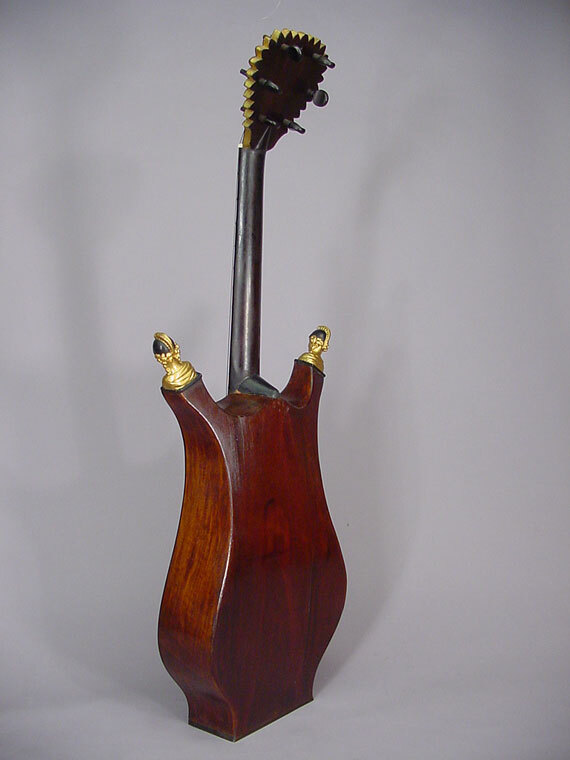 Back and sides are of mahogany, spruce top, and maple neck veneered with ebony. 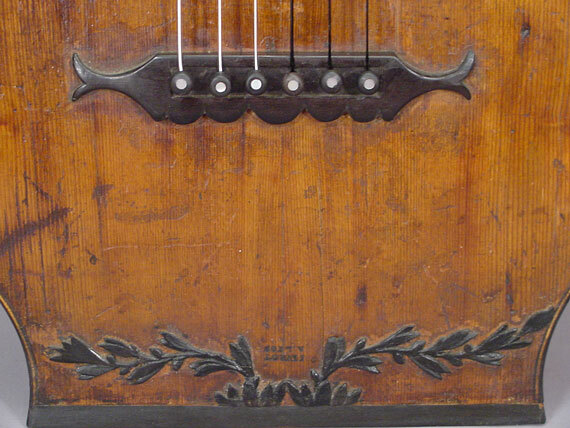 Clearly the fat frets and violin pegs are not original, but the rest looks appropriate. 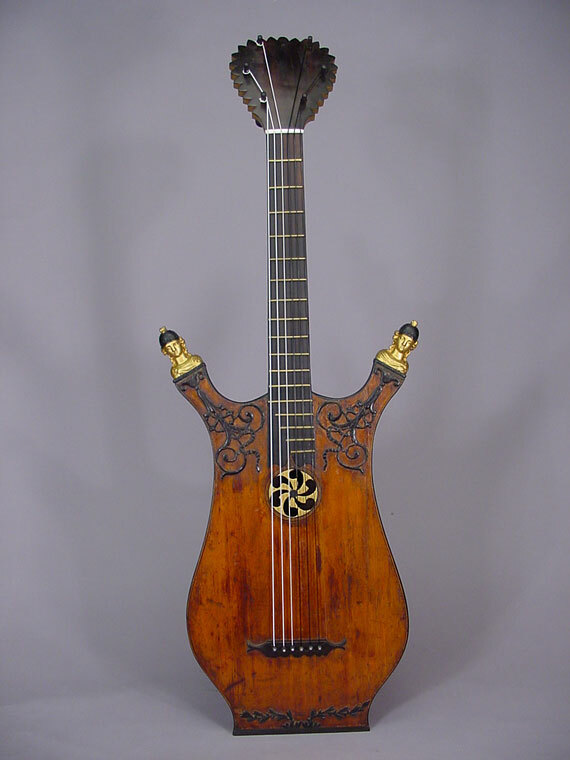 Well, that's about all I know of this particular instrument, except to say that it has a host of interesting features, any one of which could get it inducted into my personal "Wacko/Vintage Hall of Fame."